Whenever an average Malayali comes across this title, an image flashes their heart. It is of Vishnu, the central character played by Mohanlal. It is arguably the most favourite character in Mohanlal’s three decade long acting career. The film still holds the unique record of the longest running film with regular shows in Mollywood, as it had a theatrical run of 366 days with four regular shows in the state. The movie was written and directed by Priyadarshan. Chithram was produced by KRP Pillai and was distributed under the banner of Shirdi Sai Release. The movie was released on 23 December 1988. During it’s theatrical run, the movie earned a record amount of Rs 6 crores at the box office. One of the major attractions of the movie was it’s music. All the songs in this film turned into evergreen classics. 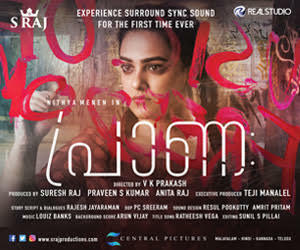 Kannur Rajan composed the songs and the amazingly haunting background scoring was done by Johnson master. The DOP of the film was S Kumar and editing was handled by N Gopalakrishnan. Nedumudi Venu, Ranjini, Maniyan Pillai Raju, Sreenivasan, Lissy, Poornam Vishwanathan, M G Soman, Shanavas, Innocent, Thikkurishi and many others were part of the cast. The movie’s plot revolves around Vishnu who had to act as the husband of Kalyani in front of her father. He does it for money and Kalyani’s uncle Kaimal is the brains behind the whole plan. At first Kalyani and Vishnu hate each other but later both developed a kind of liking for each other which turns to love and decide to marry. But at that time a stranger comes in their life and then it is revealed that Vishnu is an escaped prisoner who was sentenced to death penalty and that stranger is the warden of the prison from where Vishnu had escaped. He reaches there to arrest Vishnu and take him along with him to complete the death penalty. The climax of the movie is one of the most haunting scenes in Mollywood history.